The Arts Council of England helped to fund Opera Nepomuk and some of the events in the first year of Project Nepomuk. These following planned events took place from June 2017 to the performance in concert, in June 2018, of the opera Nepomuk. a British collaboration in Frantiskovy Lazne the Czech Republic on 10th November 2017. Excerpts were sung from the opera Nepomuk. and a talk given. A train was taken from Frantiskovy Lazne to Hof in Germany on 11th November with improvised songs, music, and poetry being performed on the journey!!! a LAUNCH EVENT, Bohemian Cabaret Evening of Entertainment with Czech food and Czech Beer took place on March 24th 2018 at the Casa Bar Liverpool. 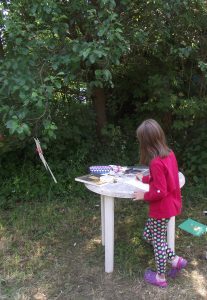 Art workshop in the garden June 2017. From 29th June to 1st July, Project Nepomuk took part in the first Bohemian Summer Festival at Old Christ Church, a lovely disused church and new Events venue in Waterloo Liverpool. The events of Project Nepomuk for 2017 to 2018 were supported by the Arts Council of England. Alongside the opera concerts, there was an Art Exhibition at the venue, featuring local contemporary artists from the North. 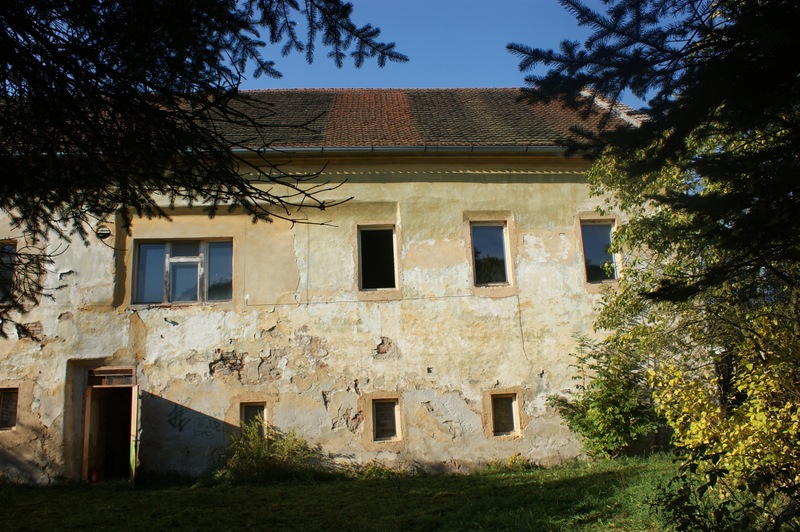 The Monastery at Klaster Nepomuk (picture above), the inspiration for the name and project, has hosted some of the Project Nepomuk events. Artsists from Liverpool visited The Monastery Klaster in June 2017 and worked on artist projects with local Czech people (see more in following blog). This was the first stage of the cross border cultural co-operation. 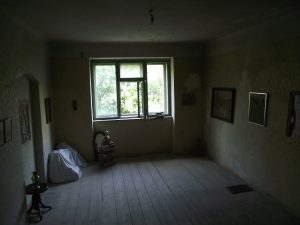 A room in the house used as an arts studios space. Present art installation created in June 2017 by Jane Lawless. 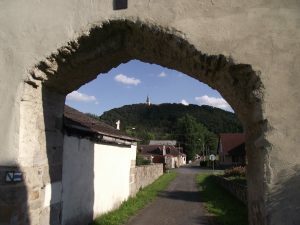 A medieval arch in Klaster with Zelena Hora (Green Mountain) in the background.